This place is called Torr Head in Ireland - to get to this place, you have to walk a fantastic path to the top of a little hill, where an old abandoned building sits like a forgotten outpost. Once up there, this beautiful view opens up in front of you - the stairs lead all the way down to the water, ending in nothing. 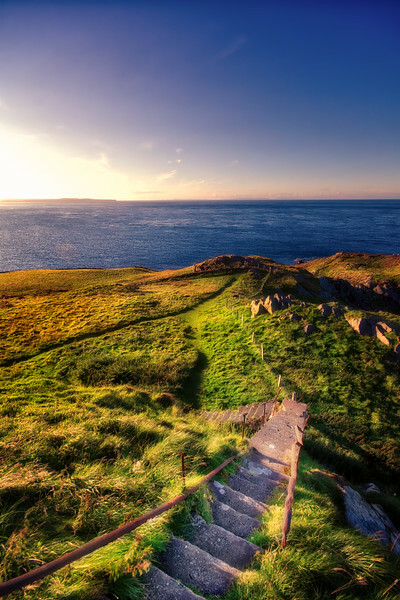 Together with the known Irish landscape (mainly grass), the stairs made an awesome shot right there.